Rev. 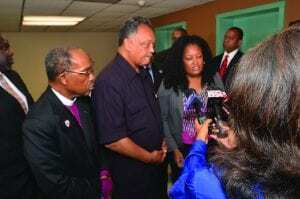 Jesse Jackson (center) talks with the media, on the left is Bishop Henry M. Williamson, Sr.
MEMPHIS, TN — Rev. 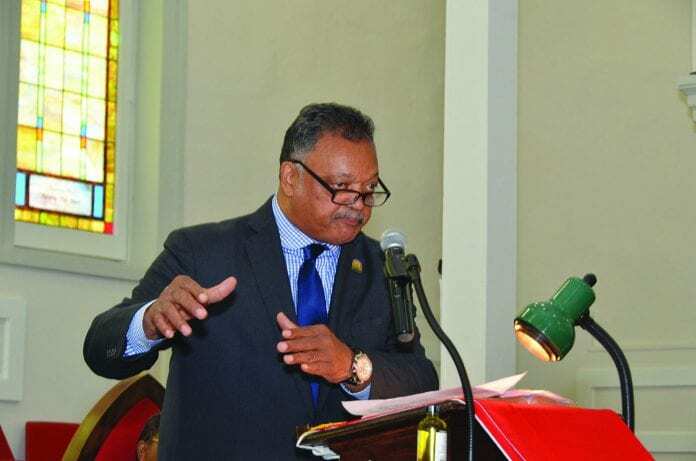 Jesse L. Jackson, Sr. toured Collins Chapel Connectional Hospital with Bishop Williamson, ecumenical leaders, Healthcare Professionals, African-American Physicians, elected officials, Chamber of Commerce representatives and potential donors. Jackson spoke and promoted Collins Chapel Connectional Hospital’s $5 million renovation and expansion. Jackson also participated in a Community Forum at the National Civil Rights Museum. The topics he covered was: Preparing for MLK 50: Where are we 50 years later, Minority Participation with City, County, State and Institutional Contracts. Panelist for the event included Felecia Bean-Barnes, Vice President, Bean & Prince Contractors and board member of the Memphis Urban League; Fred Davis, longtime Civil Rights Activist and President of Fred Davis Insurance Co., Roby Williams, President of Business Development, Black Business Association and Bernel Smith, CEO/Publisher of the New Tri-State Defender. Jackson visited the Mt. Vernon Baptist Church Westwood, Mt. Pisgah CME Church and other prominent Memphis churches. On August 14 Rev. Jackson participated in the Tri-State Leadership Breakfast Summit sponsored by Tri-State Bank and benefitting Collins Chapel Connectional Hospital Venue: CME National Headquarters, Memphis First Plaza Ballroom, 4466 Elvis Presley Blvd., 3rd Floor. 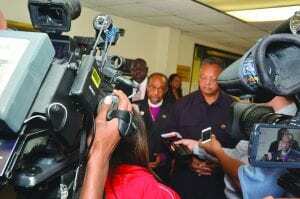 Bishop Henry M. Williamson, Sr. talks with the media while Rev. 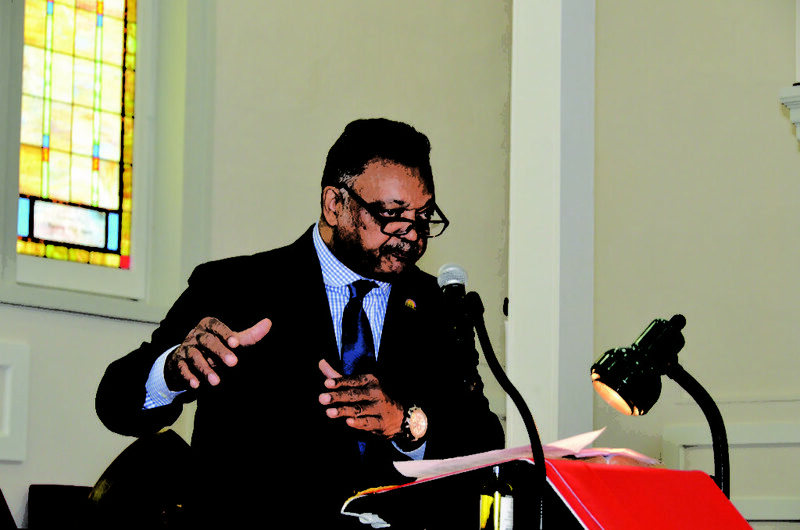 Jesse Jackson (right) listens. Rev. Jackson later toured St. Jude with Bishop Williamson, and former Mayor A C Wharton. Rev. Jackson concluded his visit with discussing Minority Participation issues that involved: City, County, State and the University of Memphis Contracts. Economic Agenda for the Tri-State Rainbow PUSH Coalition, Voter Education and Mobilization.